Kevin Le Gendre is a journalist and broadcaster with a special interest in black music. Deputy editor of Echoes, he contributes to a wide range of publications that include Jazzwise, MusicWeek, Vibrations and The Independent On Sunday and also appears as a commentator and critic on radio programmes such as BBC Radio 3’s Jazz On 3 and BBC Radio 4’s Front Row. Kevin also presented Now’s The Time, a weekly two hour jazz programme on BBC London between September 2000 and November 2002. The ethos of the show was to reflect contemporary improvised music in its entirety and this inclusive, ecumenical approach to jazz – thinking beyond categories – has also been a decisive rule of thumb in Kevin’s work in the media to date. The history of soul music has been defined, first and foremost, by a succession of exceptional vocalists. It is impossible to conceive of the genre without them. This does not mean, however, that those who back singers, those who play instruments—bassists, drummers, guitarists, keyboardists and saxophonists—were reduced to nothing other than walk on parts. If Aretha Franklin and Otis Redding were able to move audiences, then their band members and arrangers, the likes of King Curtis and Booker T. Jones, played a key role in creating tracks that had commensurate emotional depth and technical ingenuity. These lesser known figures have heightened our listening pleasure. In Soul Unsung, Kevin Le Gendre celebrates the contribution made by instrumentalists to soul. He analyses, in forensic detail, the inspiring creativity and imagination that several generations of musicians have brought to black pop, and highlights how they have broadened its sound canvas by adopting unusual stylistic approaches and embracing the latest available technology. This book offers insights into the state of contemporary soul and its relationship with jazz, rock and hip-hop. It is precisely because soul has not evolved in a vacuum that it has a canon that is enviably rich in variety. Soul Unsung shines a light on the plethora of mesmerising sounds that constitute this heritage and explains why they affect the listener as much as a great singer. Placing the focus squarely on the band, Le Gendre sets out to change perceptions of one of the great forms of expression to have marked popular culture in the twentieth century, so that those who play are given, alongside those who sing, their rightful place in the pantheon of contemporary music. The history of soul music has been defined, first and foremost, by a succession of exceptional vocalists. It is impossible to conceive of the genre without them. This does not mean, however, that those who back singers, those who play instrumentsâbassists, drummers, guitarists, keyboardists and saxophonistsâwere reduced to nothing other than walk on parts. If Aretha Franklin and Otis Redding were able to move audiences, then their band members and arrangers, the likes of King Curtis and Booker T. Jones, played a key role in creating tracks that had commensurate emotional depth and technical ingenuity. These lesser known figures have heightened our listening pleasure. In Soul Unsung , Kevin Le Gendre celebrates the contribution made by instrumentalists to soul. He analyses, in forensic detail, the inspiring creativity and imagination that several generations of musicians have brought to black pop, and highlights how they have broadened its sound canvas by adopting unusual stylistic approaches and embracing the latest available technology. This book offers insights into the state of contemporary soul and its relationship with jazz, rock and hip-hop. It is precisely because soul has not evolved in a vacuum that it has a canon that is enviably rich in variety. Soul Unsung shines a light on the plethora of mesmerising sounds that constitute this heritage and explains why they affect the listener as much as a great singer. Placing the focus squarely on the band, Le Gendre sets out to change perceptions of one of the great forms of expression to have marked popular culture in the twentieth century, so that those who play are given, alongside those who sing, their rightful place in the pantheon of contemporary music. 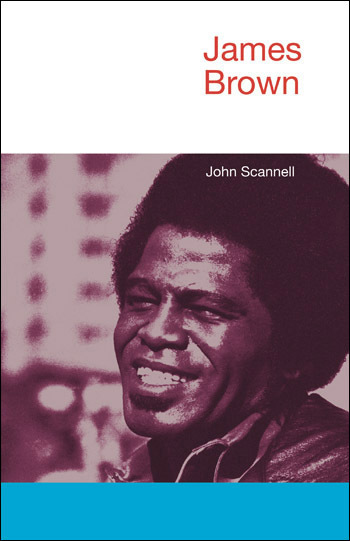 The author explores the history of the term ‘soul music’ and related concepts like ‘soul food’ and the underlying concept ‘soul’ and how it was deployed in movements such as Black Power and the Civil Rights Movement along with reflections about what was demonstrably ‘soul’ about the music of certain bands and performers from the 1960s through to the present day. This chapter explores the origins of Soul music, casting an eye over the music of African Americans during the 20th century including a survey of the technological changes taking place during those decades. This chapter looks at the relationship between soul and jazz and the relationship between R&B and soul. This chapter looks at the history of funk as a concept in African American mores and music in the run-up to the 1960s and thereafer when R&B had become soul and funk, a distinct brand of soul. The narrative turns to an examination of the relationship between soul and rock, beginning with rock’s relationship with blues and going on to explore the kinship between rock and funk (as epitomized by Jimi Hendrix) and the relationship between rock and soul (as exemplified by Springsteen;s Fire ). This chapter looks at instrumental solos and instrumental-vocal balance using King Curtis as an exemplar of someone at the intersection between different genres and geographical scenes. The author looks at the role of the bass guitar and the evolution of soul bass playing and its combustion into funk. The term fatback — a word from soul food — is widely applied to drumming and this chapter looks at the evolution of soul drumming styles. This chapter examines the guitar’s role in soul which, over time, became more ambiguous, compared with its status in related forms of music (such as rock and heavy metal) which made a macho cult out of the guitar during the 1960s to 1980s. This chapter looks at the role of horns in soul music (brass and reed instruments) and examines why horns are especially suited to interacting with voice in soul and associated genres. String instruments create contrasts in texture in music. This chapter looks at their use in soul and related musical genres. This chapter looks at the increasingly prevalent model in soul music whereby there is no ‘group’ per se; rather, technology allows a musician to operate as a self-contained creative force. This chapter looks at soul music’s reception and ongoing evolution outside of the United States. This chapter looks into the state of contemporary soul and its relationship with hip-hop and other ‘disco’ and dance genres. This chapter looks at contemporary trends in black popular music and the attributes of ‘neo soul’ in the 1980s and 1990s and other ‘revivals’ . This chapter reflects on how soul has proved to be an extremely creative genre and instances examples of evolving styles and influences. It argues that it has been the combination of the vocalist alongside the extraordinary mix of instrumental ingredients that makes this music so dynamic. Afterword and reflection on the pivotal influence of King Curtis. Bringing us up to date with neo-soul, broken beat and technological innovation, Soul Unsung is a refreshing example of a writer sharing, rather than merely airing, his knowledge. 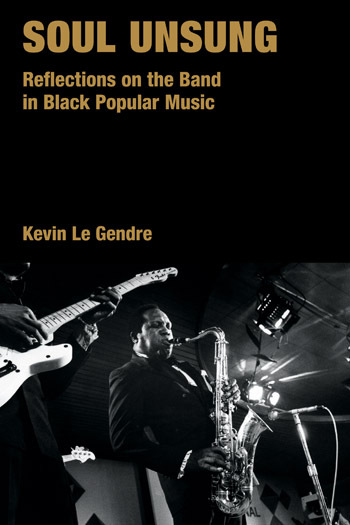 Kevin Le Gendre explores the role of instrumentation in black music in this enlightening and expertly arranged study. The book covers all eras of black music, from Cannonball Adderley to the Young Disciples, and is written with great eloquence and expertise. LeGendre does a yeoman’s job—with the creative approach of a songwriter and the uplifting spirit of a Sunday preacher—at unveiling the long-hidden history of the legendary instrumentalists of the Golden Era of Soul. With a comfortable handle on all the important names, dates and recordings, he weaves together stories that give credit to the unnamed instrumentalists who contributed to a musical revolution that is still shaping popular music today. A must-read for any student of culture. A thought-provoking and endlessly informative book by a writer who knows his subject inside-out and, just as importantly, clearly adores it. So many volumes have been written on soul singers that it’s incredible that rarely has anyone seriously addressed the musicians that back them up. Kevin Le Gendre has put a unique spin on that topic with his new book Soul Unsung. Explore and enjoy. The author devotes ample discussion to legendary saxophonist King Curtis. While he did incredible work with such singers as Cooke and Franklin, Le Gendre analyzes what made the saxophonist’s ‘Memphis Soul Stew’ so influential. He also provides solid, straightforward discussions of what made musicians like drummer Idris Muhammad work so well with bassists. The author describes the way Muhammad “could lead with the bass drum, often creating faintly melodic lines that bounced along with the same energetic fluency as the other musicians in the rhythm section. It’s impossible to adequately cover the complexity of this book in a short review. 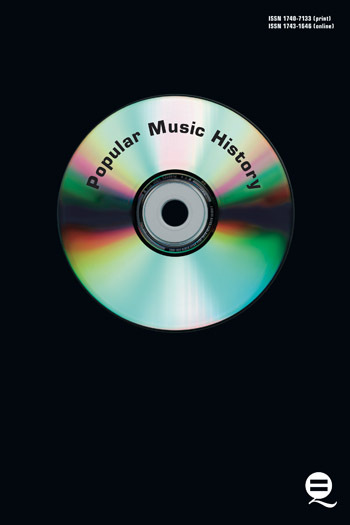 Each paragraph stimulates further thought and discovery, and you’ll want to have your computer, iPod, or record collection handy so you can reference the numerous musical examples cited. By the end of the book you’ll most certainly have gained a greater appreciation for soul music as ‘something complex, disparate and multifarious’.